The pigeon is BACK! And he STINKS! No, really, he actually smells very bad...Smell? What smell? I don't smell. YOU smell. 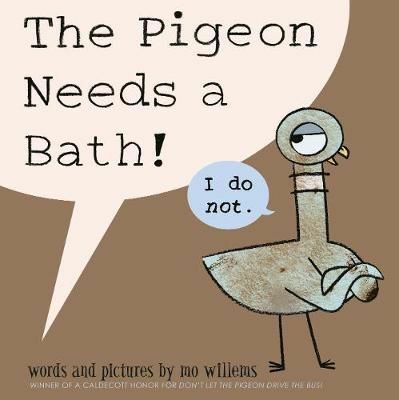 In this hilarious, interactive read in Mo Willems' award-winning Pigeon series, the Pigeon needs a bath! Except, well, the Pigeon's really not so sure about that...Besides, he took a bath last month! Maybe. It looks like it's going to take some serious convincing to get the Pigeon to take the plunge!